In a perfect world trees would be stark and square, clouds would be moody and maniacally colored, and every piece of architecture would scrape the sky. 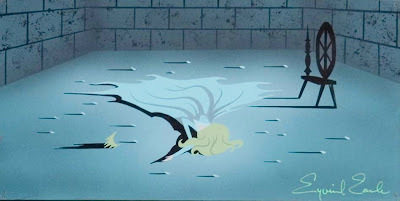 In a perfect world we would all be living in a piece of Eyvind Earle painting. We have shared in the past several pieces of Earle's early work for Walt Disney... including these gorgeous castle paintings. 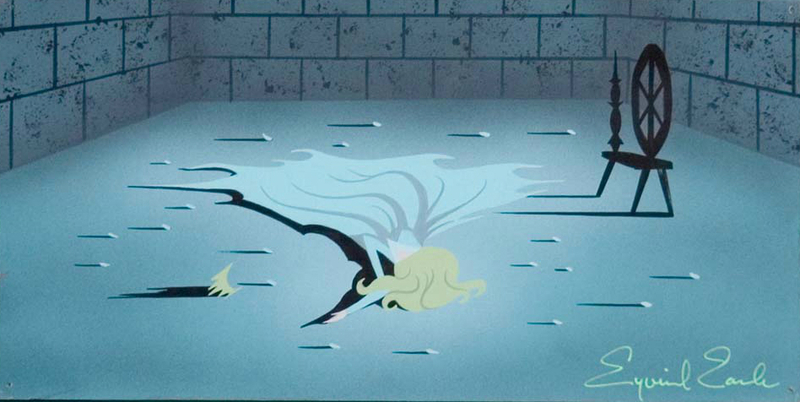 However, we've never displayed any of his work featuring the characters from Sleeping Beauty! These are great examples of everything we love about the acclaimed artist, including the stark vibrancy that first got us hooked. Enjoy. Do you love these pieces or what!?!? Which is your favorite? 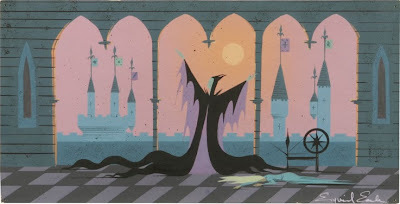 Do you prefer the legendary stylings of Mary Blair more than Eyvind Earle? Join the conversation! Follow us on Twitter or Facebook!